Safety…It’s your life. For us safety is about more than meeting regulations and saving money, it’s about making sure everyone on the team makes it home safely to their families day-after-day. As one of our core values, we believe everyone on the team – our employees, trade partners and clients – are entitled to working in a safe and healthy environment – no exceptions. At the end of the day, nothing is more important than knowing we’ve done everything in our power to make certain the people working on our jobsites are safe. 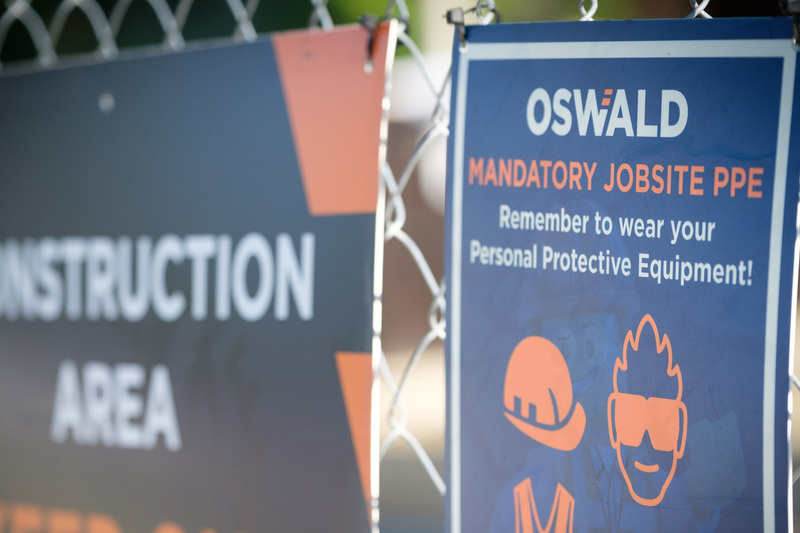 Oswald’s promise to maintain jobsite safety pushes us to continually improve and develop innovative solutions to eliminate the risks associated with an unsafe work environment. 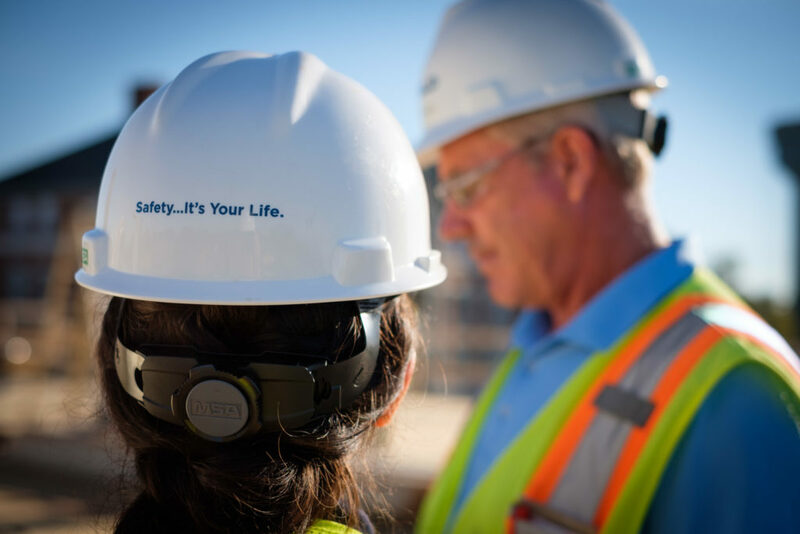 Our strong commitment to jobsite safety is implemented through our internal Safety Director and our employees. We have an exceptional EMR rating of .88, which illustrates how stringently we implement and adhere to our Safety Program. At Oswald, safety is non-negotiable.